MASPETH, Queens (WABC) -- Questions are being raised after Mayor Bill de Blasio's press secretary tweeted that a federal immigration agent was looking for a fourth grader. Eric Phillips tweeted: "Mayor's been briefed on a federal immigration agent showing up at Queens' PS 58 Thursday asking about a 4th grader. School turned him away." 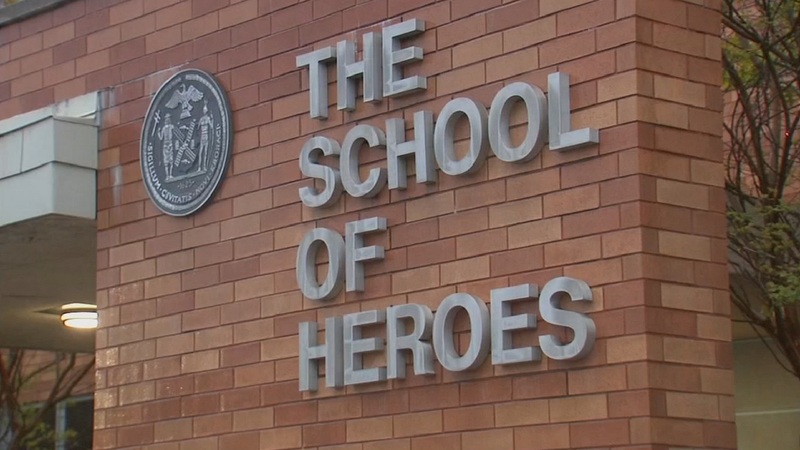 Mayor's been briefed on a fed immig agent showing up at Queens' PS58 Thurs. asking about a 4th grader. School turned him away. A 4th grader. Phillips says the agent had no warrant. The city's Immigration Affairs Office later tweeted that all students, regardless of status, are welcome in city schools, but federal immigration enforcement is not. "All students, regardless of immigration status, are welcome in NYC public schools, and parents should rest assured that we will do everything on our power to protect students, staff and families. The federal agent was turned away -- we're looking into this incident and are providing schools with additional information on our protocol and more trainings."